In astrophotography, what you see is not what you get. So many beginner photographers see Milky Way and space images posted online or shown in books and get inspired, which is great! But, an unfortunate side effect of today’s fast-paced social media sharing frenzy culture is that the hours of hard work and planning that go into each and every one of the night-sky images you see, is lost. Astrophotography, even at its most basic level, requires a bit of gear beyond the point-and-shoot, and a knowledge of how it works. Not to mention many hours learning, failing, and finally succeeding at taking the images you see on back of the camera’s LCD screen. And then there’s turning them into the beautiful works of art we see splattered all over the Internet, in books, and on the boxes of every space-themed product on the shelf. Post processing is the secret sauce that takes a well-captured photo of the night sky and turns it into the final product a budding astrophotographer can be proud of! While those are all perfectly valid questions, and knowing the camera settings can get you started in the right direction, it won’t get you nearly the same shot as the photographer. Well, unless you have the exact same camera and lens, focused exactly as I did, were standing in the same spot as me, on the same night, at the same time, and pointing in the same angle and direction. But wait! That only gets you the raw photo on the camera, not what you see posted online or in print. This is where the real magic happens, in post processing all that beautiful raw data we toiled away to get. As you move forward in experience, you learn to see the beauty in the beast of the raw, SOOC (straight out of camera), astro photos. Straight out of the camera, a Milky Way image, properly exposed and focused, can range from looking pretty decent in the darkest and clearest of skies to horrendous in the light-polluted city. It’s often nearly impossible to pull out much perceivable detail when shooting in the city, but given the right conditions, it can be done, like in the example (right) by Jean-Paul Mission. At the basic minimum, adjusting white balance, contrast, saturation, shadows, black and white levels, and noise reduction, are required to make the Milky Way look somewhat decent when shot close to the city, or get you on your way to bringing out more of it’s beauty when shot in dark skies. 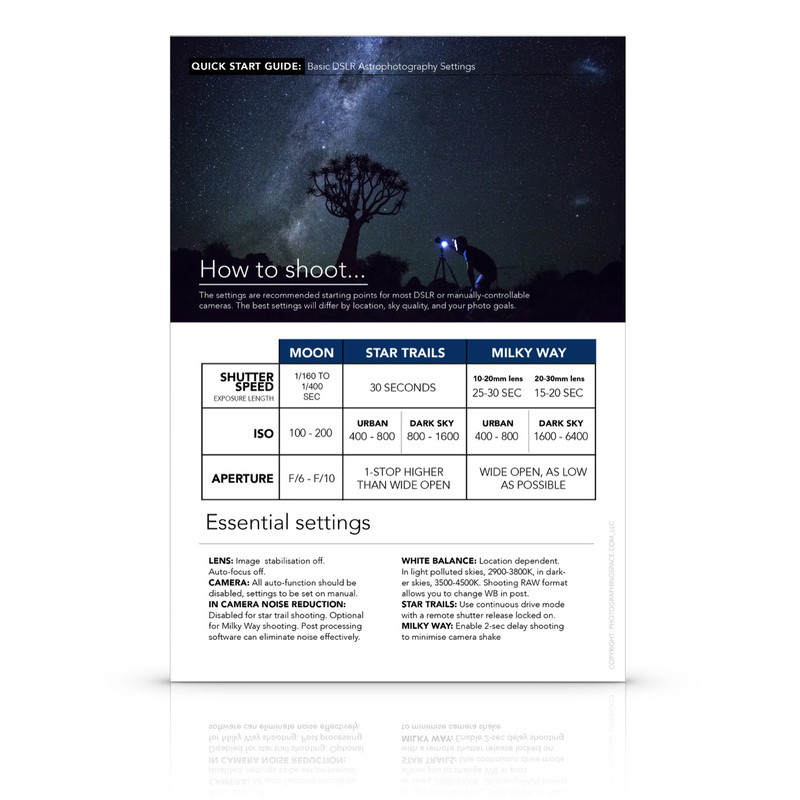 Check out our tutorials for how to shoot the Milky Way, choosing the correct white balance, 3 powerful Lightroom adjustments, and noise reduction and sharpening in Lightroom! What used to be done as a single, extremely long exposure photo (up to hours long! ), star trails are now most commonly shot as a series of hundreds of photos, shot consecutively with little to no delay between them. As standalone images, they will simply just show a night sky scene, which is nice in its own right. When they are combined into a final star trail image, however, that’s where the real awesomeness shows up. Using free software, like StarStax, the lighter pixels (stars!) in each individual photo are combined together to show the movement of the sky relative the static, unmoving tripod. That’s not mentioning the post processing that goes into each individual photo prior to this stacking. It’s not magic, but it is a little bit of work! Another example of multi-photograph images are the amazing arching Milky Way photos you see. While an ultra-wide fisheye lens can capture a similar scene in a single shot, to do it properly and to get the more realistic view, many photos are required. The example above is a combination of 28 separately shot and framed photos, stitched together with panorama stitching software, Lightroom in this case. All the photos used to create this one photo took almost 30 minutes to shoot. 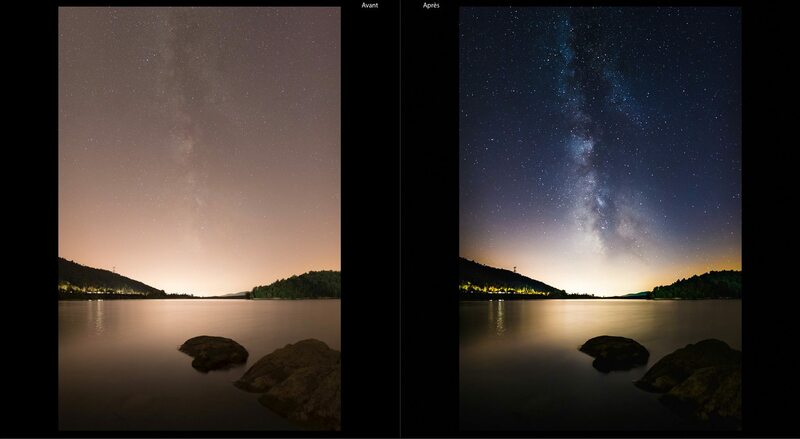 Another example of what the raw photos look like that are required to create a Milky Way panorama like this can be seen below, by Ahmed Saleh. In this case, 10 individual images were shot and then combined into one sweeping vista. 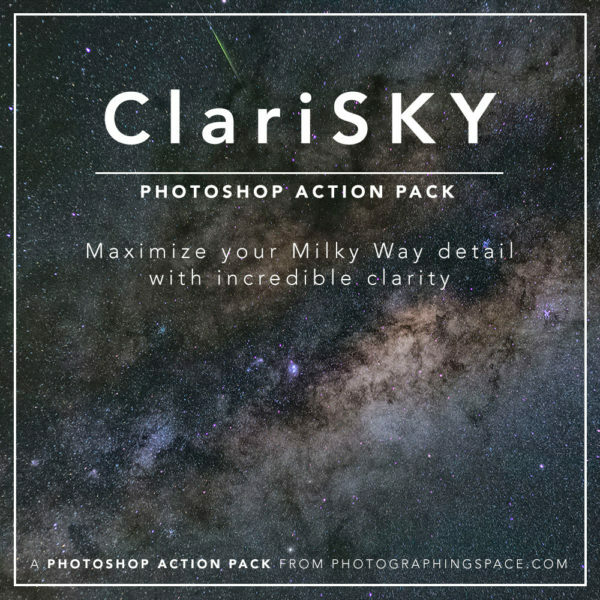 Post processing a Milky Way panorama is the same as processing a single Milky Way photo, with the required first step of stitching together the panes, which can sometimes be a serious job by itself, often requiring customizable settings and control points with software like PTGui Pro. Lastly, but not at all least, are the mind-bending deep-sky astronomical images that have a huge WOW! factor, but are rarely given the respect they truly deserve. Often taking many nights of constant shooting, more advanced equipment, and patience, this kind of image can make or break an astrophotographer’s love of the hobby. Often when photographing deep-sky astronomical objects, you can end a night with anything from absolutely nothing to show for all your work, to the required photos needed to create a final image, but still not much to show for it…yet. What you see straight out of camera SOOC when you shoot these objects is the beast I was talking about earlier, it takes a lot of work to make it look like a beauty. The example (right), by Kees Scherer, highlights some of the multiple exposures that can sometimes be required. What is difficult to show is that each photo represents many more that look exactly like it, but are needed to keep things clean! We issued a challenge to our readers to show us their worst raw data and the resulting best final image. While some of them were featured above, I’d be remiss to leave any of the others out, so here’s a gallery of your reader submissions! Yes, I want to buy him a drink! 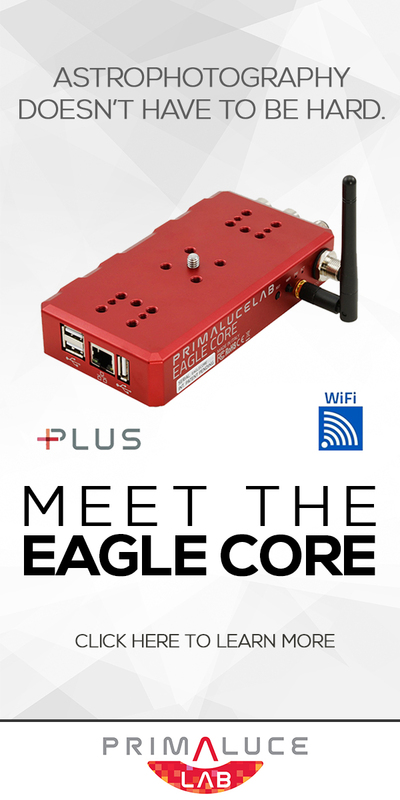 Co-founder of PhotographingSpace.com, co-owner of several telescopes and mounts, too many cameras, and not enough hard drives, Cory is an American expat living in South Africa with his wife, Tanja Schmitz. An avid astrophotographer for timelapse, deep-space imaging, lunar, planetary, and star trail imagery, he is an all-around jack-of-most-trades for night-sky photography. He is also an internationally published and commissioned astrophotographer, where his photos have been used in multiple online and print publications. Thank you very much for this article and this challenge, I didn’t imagine that one of my astrophotographs could be reviewed and published on such a amazing website. Your work and effort on this site was a real inspiration to me and of course to a lot of astrophotogrphers around the world. Your image was a great example of what it takes to shoot a Milky Way panorama, thanks for letting us use it. We’re so happy to be an inspiration! Really appreciate you & Tanja taking the time to put together these articles. Now whenever people ask those questions with regards to editing etc.. I can simply send them this link, as it explains things perfectly. Thanks for sharing — that’s what Tanja and I and the team are here for! Thanks a lot for giving my before/after image as an exemple in your article! Very proud of it! Thanks for letting us use it!